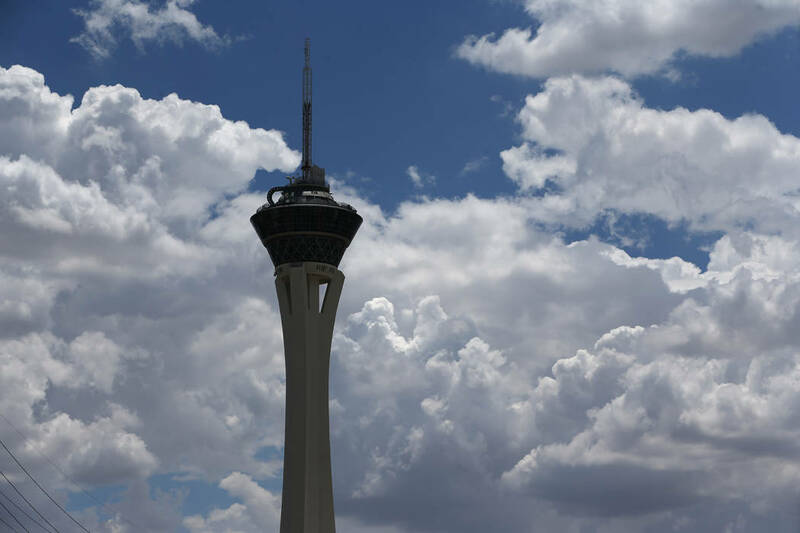 The Las Vegas Valley will stay relatively cool for the next few days with cloudy skies and possible thunderstorms in the forecast. There’s a 30 percent chance for rain or thunderstorms Thursday, with storms more likely in the afternoon and evening, according to the National Weather Service. Wednesday’s high should reach 99 degrees, the weather service said. 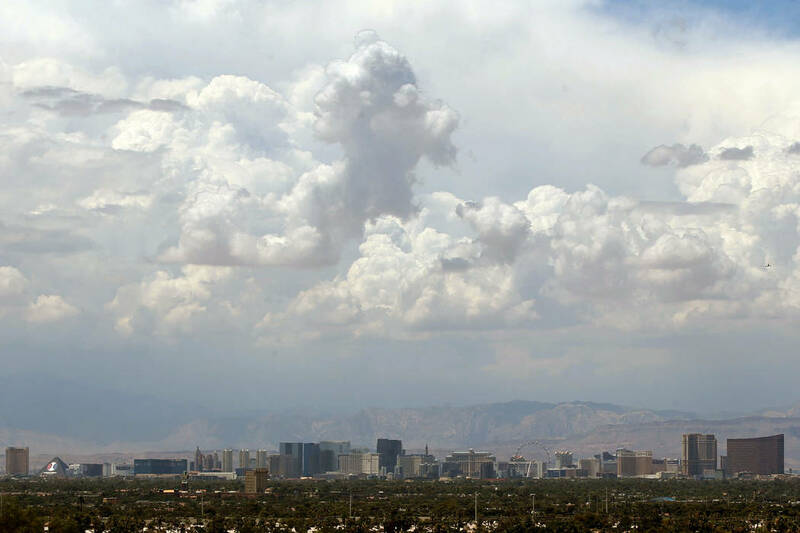 The valley will break back into the triple-digits on Friday with a high of 102, and the chance for rain falls to about 20 percent, the weather service said. Chances for rain dip to about 10 percent on Saturday and Sunday. Temperatures will continue rising over the weekend with a high of 105 forecast for Saturday and 106 for Sunday, the weather service said. Weekend lows should remain near 86. Contact Max Michor at mmichor@reviewjournal.com or 702-383-6239. Follow @MaxMichor on Twitter. Review-Journal staff writer Mike Shoro contributed to this report.